A fusion of classical ballet moves with Pilates, yoga and dance set to high-energy music, a session of Barre will tone, define and sculpt the whole body from head to pointed-toe! Virgin Active studios nationwide are being kitted out with barres which not only aid balance but will help you to push your body further and feel the burn, taking ballet beyond the preserve of prima ballerinas and Grand Jeté-ing it into the 21st Century. 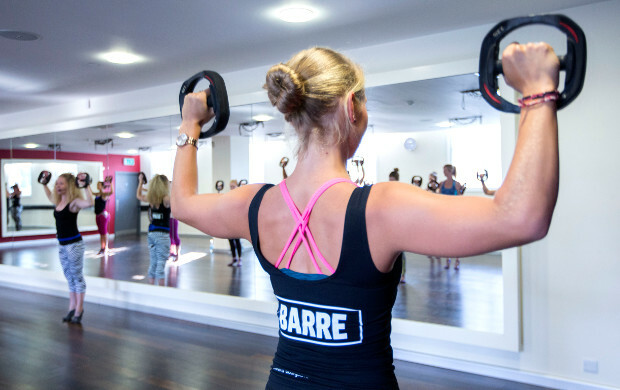 One of the most effective ways to get fit, as well as being fun – Barre tones the whole body whilst being bloody good cardio to boot. Not to mention giving you a whole new set of moves to show-off at parties!